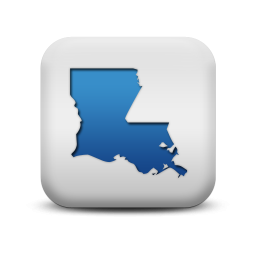 Find the latest news and information about Louisiana workers compensation insurance. It is important for all business owners to know the rules and regulations associated with workers compensation in the state of Louisiana. For the most part all businesses in the state of Louisiana have to carry workers comp coverage. This includes those who only hire independent contractors and those businesses only hiring a few part time employees. Some industries are exempt from the Workers Comp requirement, like the oil and gas, entertainment and airline industries. Here we try to provide information about all things related to Workers Compensation Insurance in the state of Louisiana. If you have questions about a workers comp form feel free to contact a specialist at 888-611-7467. We want to be your source for workers compensation information, rates and quotes in Connecticut. Louisiana Office of Workers' Compensation Administration? The LWCC is a private, nonprofit mutual insurance company and it is the largest carrier of workers' compensation coverage in the state of Louisiana. In 1992 the LWCC was created to stable the Workers' Compensation marketplace. Louisiana is a unique state that brings with it unique risks. Because of the location on the gulf and as a port for the Mississippi River there are industries in Louisiana that are not located anywhere else in the country. LWCC is there to provide for the business needs of the citizens of Louisiana when private insurance companies might pull out because of the unique risks this area faces. Louisiana provides an exemption for the crews of any airplane working in dusting or spraying operations. Because agriculture is so heavy in rural Louisiana the state has made an exception for employers who have employees taking flights related to dusting or spraying operations. Because New Orleans and the rest of Louisiana are such an entertainment hub the state has come up with special exemptions for workers comp coverage for Musicians and other performers. It is not a requirement, for employers who employ musicians and other performers who are hired for individual performance contract, to carry work comp coverage. Payment plans on your terms. 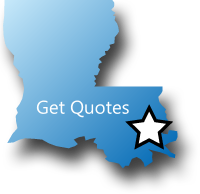 In Louisiana we offer a flexible payment option called Pay as You Go Workers' Compensaiton Coverage. We know how important cash-flow is to your business and we created this program with that in mind. 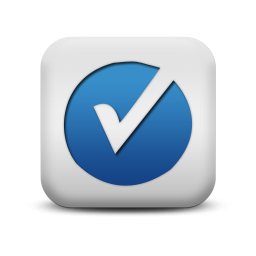 The Pay as You Go Program lowers your up-front costs and offers you real-time monthly reporting for your premium payment. 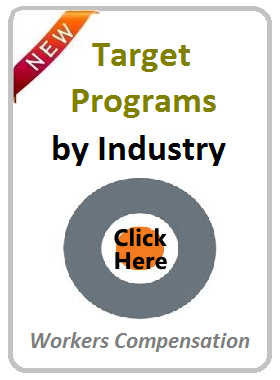 Start a quote online to see what other programs we have for your business. Let Workers Compensation Shop.com help your business navigate workers comp insurance in Louisiana. At Workers Compensation Shop.com, we help Louisiana Employers find the best deal on workers comp coverage. Give us 3 minutes and we'll tell you whether or not we can help your business find more affordable coverage. If we can't help, we will give you our best advice on where to go next. For the most accurate information about workers comp insurance in Louisiana, give one of our workers compensation Specialists a call at 888-611-7467 or start your quote here online.